Life The Necropolis is a science-fiction adventure comic book. Life is the main character. The Necropolis is somewhere we haven’t been yet. Here it is right now. We have some thoughts which will come in a moment. Every two weeks or so. This comic follows a really interesting format. It's a continuing story but there are one-off issues along with multi-part miniseries. It's quite refreshing with a unique style (plus there is always an awesome headshot every time Life fires his gun). It has a real Heavy Metal retro feel. Here is an example of a one panel self-contained story. This is not a complaint of this comic per say, but an overall piece of advice for creators of webcomics in general. We'd like to encourage webcomic creators to try and post their ongoing stories in a continuous issue so us fans can read more than one page at a time. Yes, we understand creators post as pages are complete, but eventually, you should be able to string them together for a better experience. Let's take Life the Necropolis' recent story arc called "Darkness." 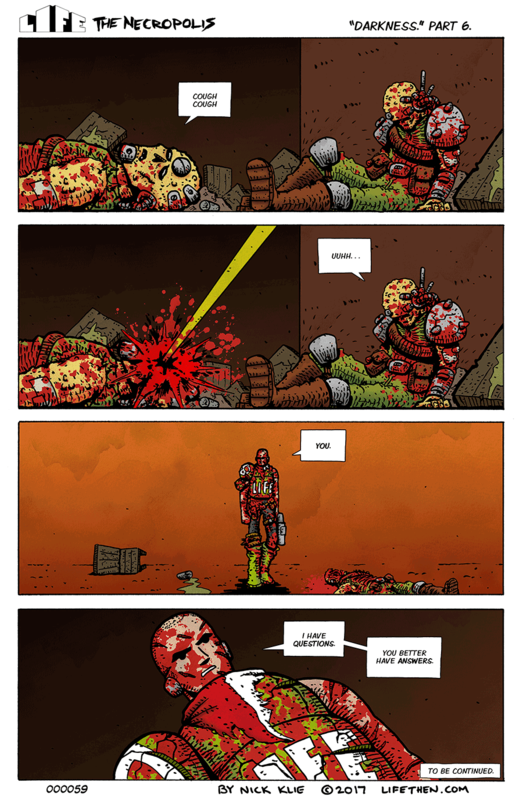 We took the liberty of compiling the pages to get a great feel for how good this comic is. To us it's a hidden gem and we're glad we discovered it. See what we mean? Doesn't this make you want to read more. Well head on over to lifethen.com and check out the rest of this comic. If you're into action sci-fi you'll enjoy it. Here's another sci-fi action title that has a unique style. 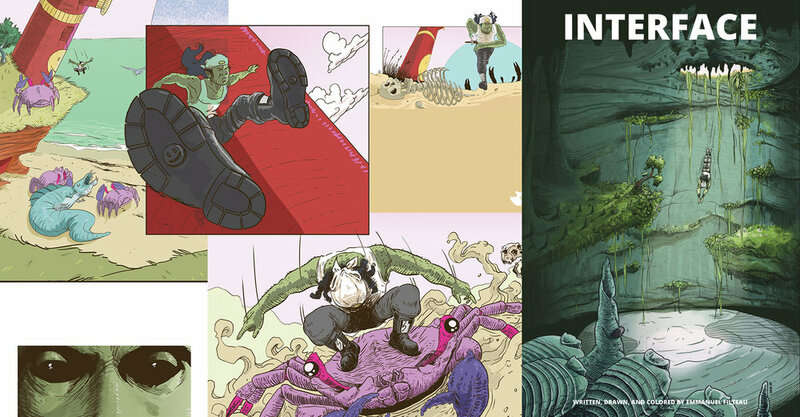 Check out Tales from the Interface!